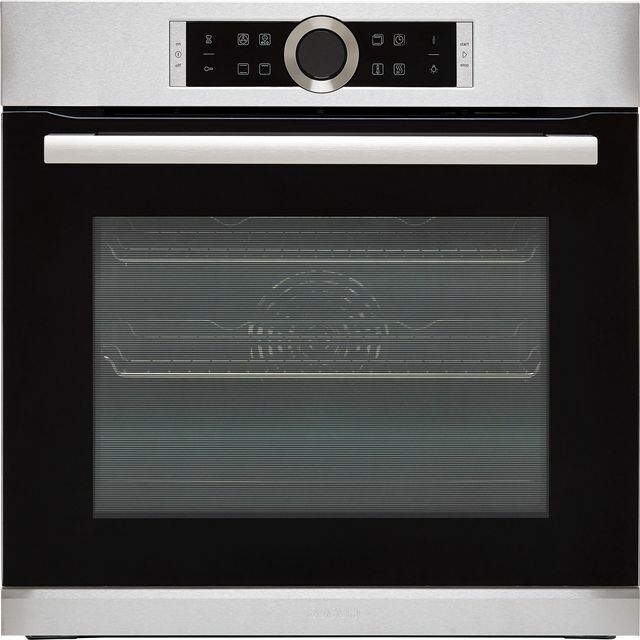 Impress your dinner guests with this built-in electric single oven from Bosch. 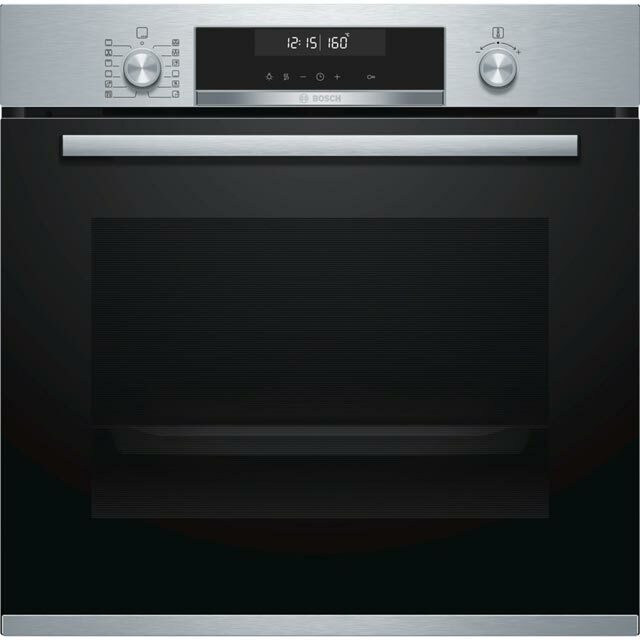 It’s a multifunctional model, so you’ll have a wide range of cooking options to help you master your favourite recipes. With its 71 litre capacity, it’s great for large households too, which will give you plenty of room to get creative in the kitchen. The SinglePoint meat probe is a great way to ensure you achieve incredible results with every dish – simply insert it inside your meat or fish, and when it reaches the ideal temperature you’ll know everything will be cooked to perfection. It’s easy to keep clean as well, as the EcoClean Direct ceramic interior absorbs grease splatters and burns them away as you cook. This model is designed to fit at eye level or under a worktop.